Hold vol-down while booting the device. 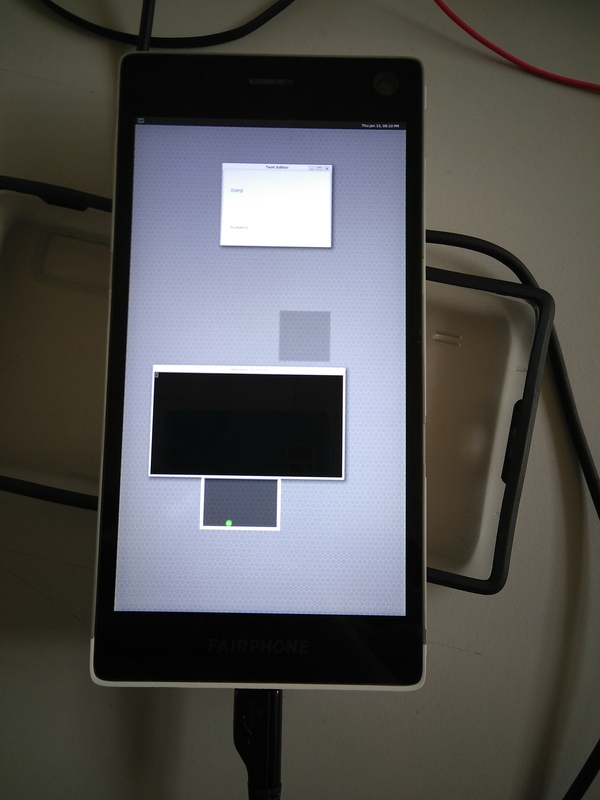 The splash screen doesn't indicate, that the phone is in fastboot mode, but you can test it by running fastboot devices on a PC that's connected via USB to the phone. Note, that you have to have a recent bootloader installed, you can download a zip to flash from the recovery at this link. Installation procedure is the same as with most other devices and isn't special for this phone. Using NetworkManager (preinstalled) doesn't work for me / my WiFi network because of some dhcp issue. Connect to a network using this guide. Then you should have a working WiFi connection! For audio, read pmaports!38 for now until it's more integrated. This page was last edited on 10 October 2018, at 12:22.